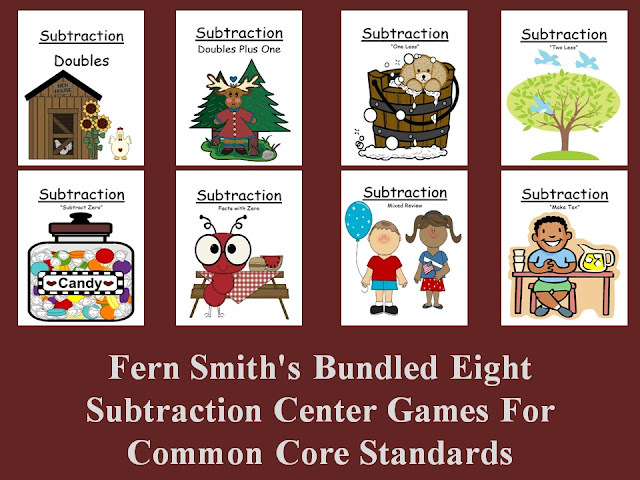 Addition and Subtraction Units Bundled Together For Your Classroom! Fern Smith's Thanksgiving Place Value Race Game! Fern Smith's Christmas Bears Place Value Race Game! DIRECTIONS FOR A VARIETY OF WAYS TO MAKE INEXPENSIVE CENTER GAMES & HOMEWORK! Website & All Center Games are copyrighted 2009 - 2013 by Fern Smith & Fern Smith's Center Games.